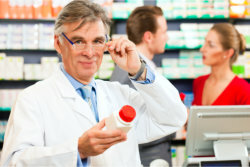 Community Pharmacy is a full-service pharmaceutical company and has many comprehensive services to offer. We want what is always best for our clients, which is why our services are geared to benefit you the most. We are a member of the 340B Drug Pricing Program that is certified as of October 2011 by the U.S. Department of Health and Human Services (HHS). The said program allows our dear clients to have access to reduced price prescription drugs in order to help you. Community Pharmacy understands that maintaining medication is heavy on the budget and we wholeheartedly support you in making sure that you get the care that you need here with us. If you have any more questions, please give us a call at (908) 469-6363. You can also send us a message through our online Contact Us form.